Chicago is known as the ‘Windy City’ but many people, including Chicagoans, do not know the real reason the city was given this nickname. Many believe it’s due to the strong and frequent winds the city experiences coming off of Lake Michigan. Although this has become an accepted reason, it is not the original one. The title was actually given to the city in 1893 by an editor for the New York Sun who was tired of long-winded Chicago politicians bragging about the great things that were to come at the World’s Columbian Exposition to be held in Chicago later that year. 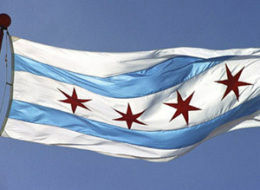 Hence, the nickname the ‘Windy City’ was born. Does your hometown or city have a nickname? 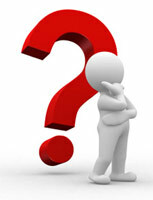 Do you know where it originated from? If so, share it with us! Chicago, the hometown of the ABE, is also the birthplace of many exciting inventions, including some we use or see everyday. Chicago is where the roller skate, the elevated railway, Cracker Jack®, the window envelope, and Hostess Twinkies® were all invented. It is also where the first Ferris Wheel was built at the 1893 World’s Columbian Exposition and where the world’s first skyscraper was built in 1885. Other familiar “Chicago-born” people, places, and things include Walt Disney, deep dish pizza, zippers, pinball, spray paint, Dunkin’ Donuts, McDonalds, and the Butterfinger® candy bar. 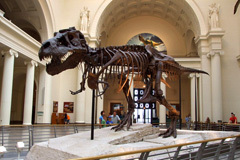 In addition, although she never spent any of her actual life here, the skeleton of Sue (the largest and most complete T. Rex ever discovered) was born in to fame when she took up residence at Chicago’s Field Museum. Do you have interesting people, places or things from your hometown? If so, tell us about them! Our personal insurance representatives are our connection to you and to show our appreciation for the relationships they have fostered with ABA members, we recently celebrated our representatives during Customer Care Week. Your representatives -- Nancy, Charlene and Evelyn – were treated to an awards banquet to thank them for their dedication and hard work. Nancy, Charlene and Evelyn work hard each day to provide personalized care to you. Thank you, Nancy, Charlene and Evelyn!!! Each year during open enrollment, changes may be made to the insurance plans offered by your firm. This year, your firm may have made changes to your Medical coverage including removing coverage limits in response to Health Care Reform. With this new change in medical, we have had many members call us to ask if they should cancel their ABE-sponsored Excess Major Medical plan. As we talk with members, we remind them of a few key features of the plan -- such as once the deductible is satisfied, the ABE-sponsored plan covers eligible expenses at 100% for seeing out-of-network physicians and going to excellence of care centers not in your network. As always, if you have questions, contact me and I’ll walk you through the features of your ABE-sponsored insurance plan.